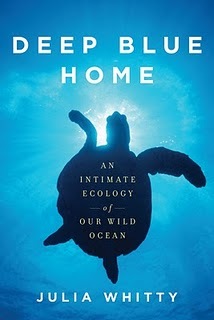 My wife and I have been enjoying spending some of our evenings reading to one another from Julia Whitty’s book Deep Blue Home: An Intimate Ecology of Our Wild Ocean. Whitty, a scientist, documentary filmmaker and correspondent, writes about her years of exploration and discovery of the World Ocean, the three dimensional current circling the globe that profoundly controls the planet’s climate and has a tremendous impact on all life. In one chapter, Whitty references the Census of Marine Life, an amazing 10 year collaboration of over 2,700 scientists from more than 80 nations to assess the diversity, distribution, and abundance of marine life. Clearly we have only scratched the surface in so many respects. Here’s to ever widening circles of collaboration.